Branxton boasts colonial charm and beautiful historic architecture. 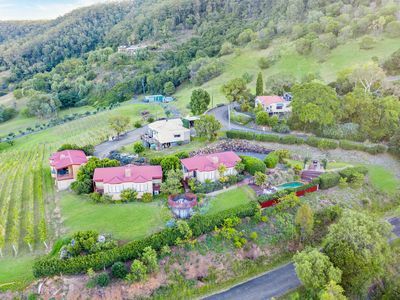 The small village town is filled with friendly locals and is an attraction for many visitors travelling through the Hunter on the New England Highway between Singleton and Maitland. Situated at the northern end of Wine Country Drive. It is the doorway to renowned vineyards in Pokolbin and Rothbury. This area has become a popular region for astute investors and homemakers, who foresaw increased potential upon completion of the Hunter Expressway. The highway created an easy corridor of travel from Sydney or Newcastle to Branxton NSW, providing the area with great amenities. Why invest in local real estate? 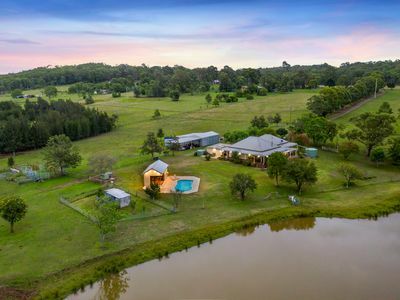 Local property can typically boast sprawling acreage and some residences are located near the sandy banks of the Hunter River. Rentals are well sought after in this area, making each property purchase a sound, long-lasting investment that will reap financial benefits for many years to come. We are proud to offer many beautiful homes and estates for sale in the area. Our real estate agents were born and raised in the rural region, and offer prime knowledge of its homes and infrastructure. With an in-depth knowledge of the local industry – and the trends, predictions and sales data – we are able to make astute sales to ensure you get the best quality investment of the highest value. Professional and dedicated, each real estate agent offers a level of care that is unsurpassed. We attend to each transaction with our trademark attention to detail, stopping only when we have made the final sale. Contact one of our experienced agents in NSW today, to discuss existing opportunities. From buying and selling to renting and property management, we service all aspects of your experience. If you are the owner of a property in the area, we can arrange an up-to-date market appraisal. If you ever do choose to sell, we have an extensive network of eager buyers who we can place your property in front of. We are the leading agents. If you’re looking for an objective appraisal, we’d love to chat.